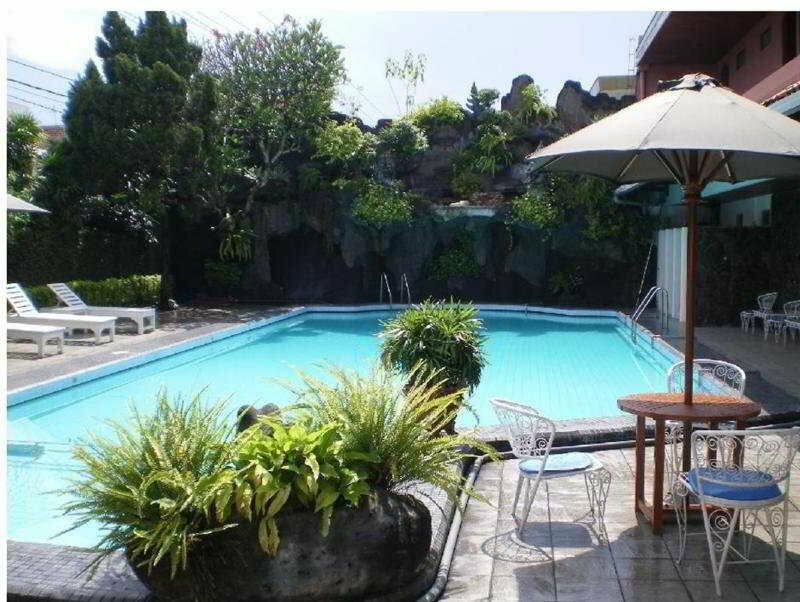 Just outside the centre of Yogyakarta lies the very nice hotel Puri Artha. 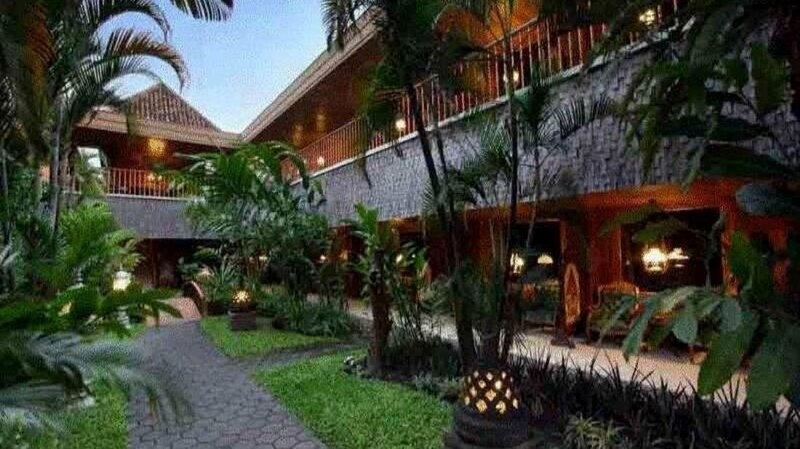 The hotel is in Balinese and Javanese style, in the rooms is used a lot of rattan, bamboo and batik. 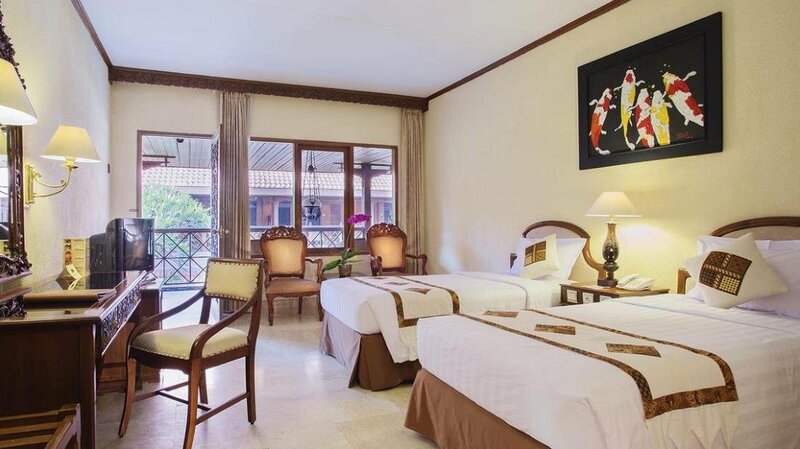 The rooms are spacious, clean and beautiful and set up in a carré shape in the garden. All rooms have a veranda with seating and are equipped with AC, bathroom with bath or shower, telephone, TV and minibar. Restaurant (Asian and Western cuisine) with Gamelan music from 6 to 8PM, bar (also with live music, from 8 to 10.30PM), shops, swimming pool (not free, about 2 €, but there you have also a towel, locker, shower and fresh juice for) and Spa. YogyakartaYogyakarta is the cultural centre of Java, the soul of the island. Next to that it’s also one of the cosiest and most lovely cities of Indonesia to visit. Partly because of the walled royal palace, Kraton, which is a town in itself.